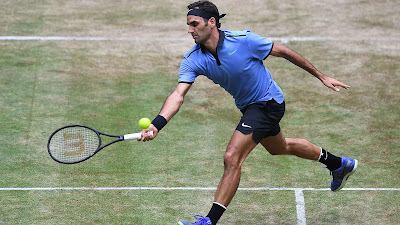 Roger Federer defeated Karen Khachanov 6-4, 7-6 (5) to advance to the final of the Gerry Weber Open for the 11th time on Saturday. 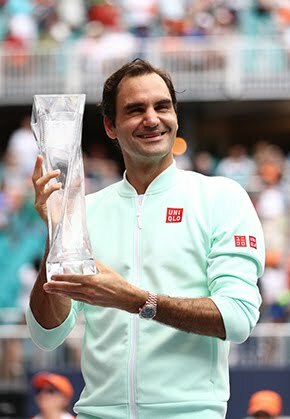 Federer will bid for his 92nd career title in what will be his 140th final against the fourth-seeded Alexander Zverev, who rallied to beat Richard Gasquet 4-6, 6-4, 6-3 for his seventh title-decider. “I thought it was extremely close, especially that second set. I'm still just very happy how I was able to close it out in the 'breaker,” Federer said. Federer lost to Zverev in last year's Halle semi-finals but beat the German last year in Rome. “He's got home-court advantage. He's got a wonderful serve and one of the best backhands in the game. He takes big cuts at the ball, returns very well. He's a tough player to play against,” Federer said. The World No. 5 has yet to drop a set in Halle this week. He improved his all-time record at the tournament to 58-6 and is 23-2 on the season. Federer has reached the final in four of his six tournaments this year. Federer had never faced the 21-year-old Khachanov before Saturday, but the big-hitting right-hander, who was trying to reach his second ATP World Tour final (2016 Chengdu), was unintimidated against the all-time great. The two exchanged breaks to start the match but Federer broke once more and rode the early advantage to a one-set lead. Neither player could break in the early goings of the second set as Khachanov was freely blasting forehands and Federer was stepping into his backhand and flattening out the one-hander. At 4-4, Federer broke Khachanov for a chance to serve for the match, but Khachanov broke right back when a Federer forehand pass sailed wide. The 6'6” Khachanov even had two set points on Federer's serve at 5-6 but was unable to convert either. In the tie-break, Federer clinched his 11th final appearance when Khachanov lifted a backhand long on match point. Federer saved four of the six break points he faced overall, while converting three of his five opportunities. 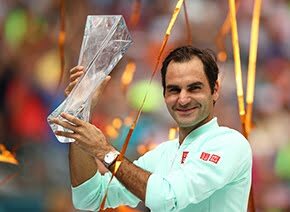 Federer had a busy start to the year including the capture of his 18th Grand Slam at the Australian Open. His decision to skip the clay-court season to recuperate appears to be paying off with a view to Wimbledon, where he is a seven-time champion. “Everything has been geared toward Wimbledon for the past 12 months and I'm happy with how I feel at the moment,” Federer said before his match with Khachanov.